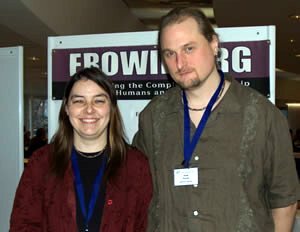 In this highly original talk, Earth andFire, the founders of Erowid.org, provide a clear and convincing argument for the positive role “Drug Geeks” can play in civilized society. They also provide some interesting ways in which to think of this newly-evolving human culture. Posted in Culture, Education, Erowid, Mind States, War on Drugs and tagged Culture, Education, Erowid, Mind States, War on Drugs.